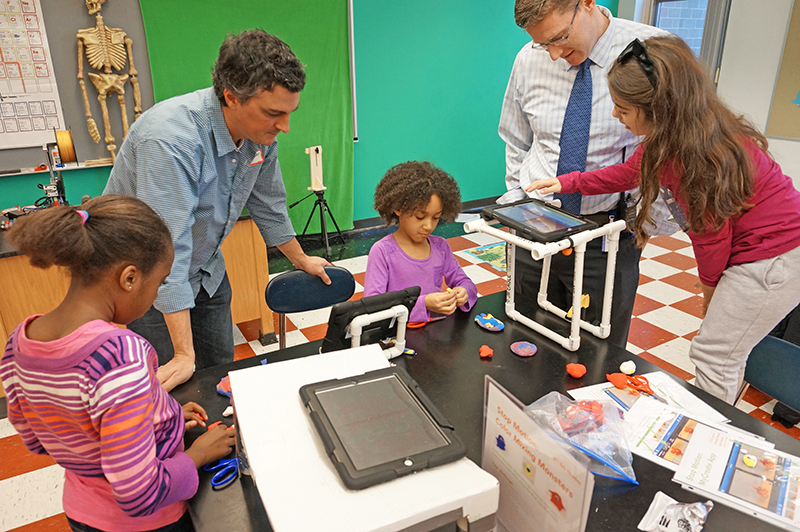 Lesley University’s STEAM Team and the John F. Kennedy School, a kindergarten through 8th grade school in Somerville Massachusetts, have worked in close collaboration to design and launch a Makerspace and Innovation Lab — the first makerspace in the school, and in the district. Through a variety of activities, we are examining ways to extend this initiative into the classroom and afterschool opportunities. 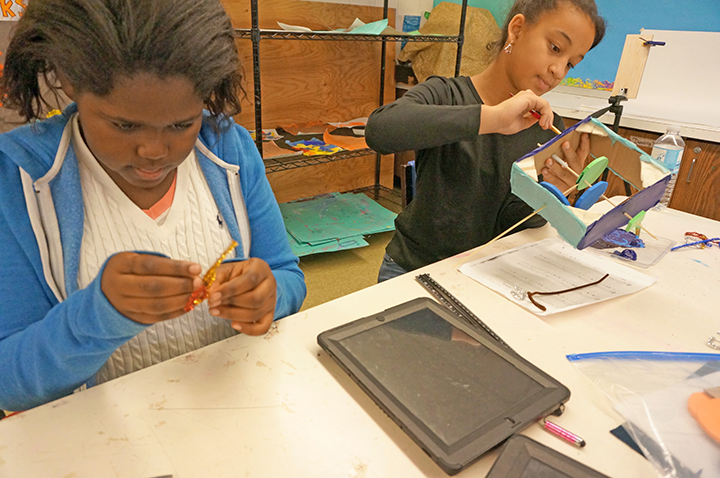 Leveraging the school’s collaborative coaching model, we have also been supporting teachers and their students as they explore new ways of knowing and the unique learning opportunities that are available when a community engages in the maker mindset and project based learning activities. Critical to the adoption and integration of this initiative is the intentional link between tinkering and inquiry and the core curriculum. In keeping with the mission of the school, we are supporting teachers as they look at their curriculum through this new lens, and help them identify and integrate maker activities as a vehicle to enhance and extend student engagement and learning. Lesley University and the Kennedy-Longfellow School (KLO) in Cambridge, MA, have partnered to create new knowledge about enhancing teaching and learning through classroom technology integration. A fundamental premise of this project is that technology can transform the roles and relationships of students and teachers. From the use of apps to promote accountable talk in math, to the creation of eBooks to share student generated media, students at KLO are accessing authentic learning opportunities driven by personal interest and 21st century dispositions and skills. Critical to the project’s success has been the strategic management of a large-scale iPad deployment. This site will present management strategies, protocols, and progressive policies developed collaboratively with the school district to augment the effective use of mobile technology in the classroom.